About us - Primus R d.o.o. Primus R d.o.o. focuses primarily on the manufacture and restoration of walking surfaces on all kinds of vessels, made from Flexiteek, KiwiGrip, Gisatex and Marine Tuft carpets as well as the production and installation of walking surfaces made from genuine Myanmar teak. Our company is also trained to renovate and polish vessels, using only high quality products made by Allegrini Italia. Our production even extends to Flexiteek and teak walking surfaces for terraces and bathrooms as well as the manufacture of swimming platforms from epoxy and we shape them through the CNC machine and CAD CAM. The company was founded back in 2007 in coorperation with Harpoon Electronics, the former representative for Flexiteek. 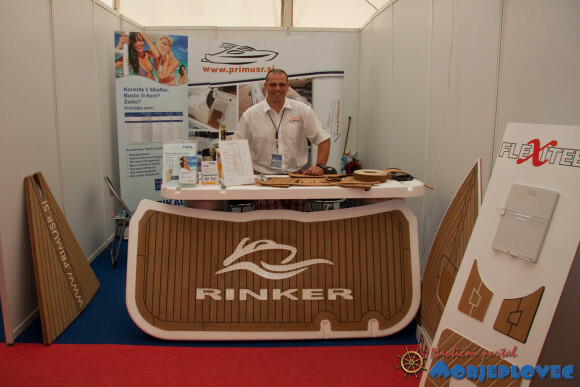 In September 2009, Primus R took over the representation of Flexiteek in Slovenia and Croatia. At the 2010 METS Netherlands exhibition, we signed an agreement for the representation of Flexiteek in Austria. Two years later, we acquired the representation for all the above mentioned countries for Allegrini and Marine Tuft products as well. Our company has achieved high levels of customer satisfaction and with all our enthusiasm and determination, we hope to keep them satisfied.